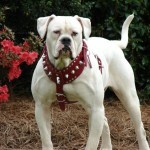 The principal architect or founding fathers of American Bulldog are Allen Scott and John .D. Johnson. 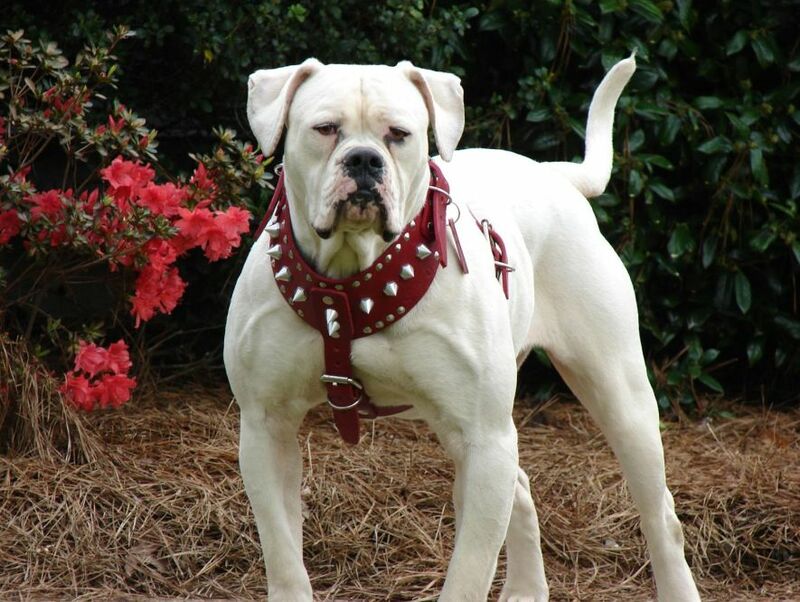 Before this breed was christened as American Bulldog they were known by different names; the earlier names were, southern white, Hill bulldog, Country Bulldog, White English Bulldog, English bulldog and merely Bulldog. 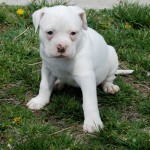 The American Bulldog Dog is popularly known as working breed. 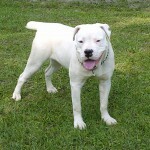 The dog boasts of a friendly personality; the temperament of American Bulldog is companionable and it is happy go lucky. These dogs are capable of developing strong bonds with their owner and family; American Bulldogs have sociable attitude towards other pets. 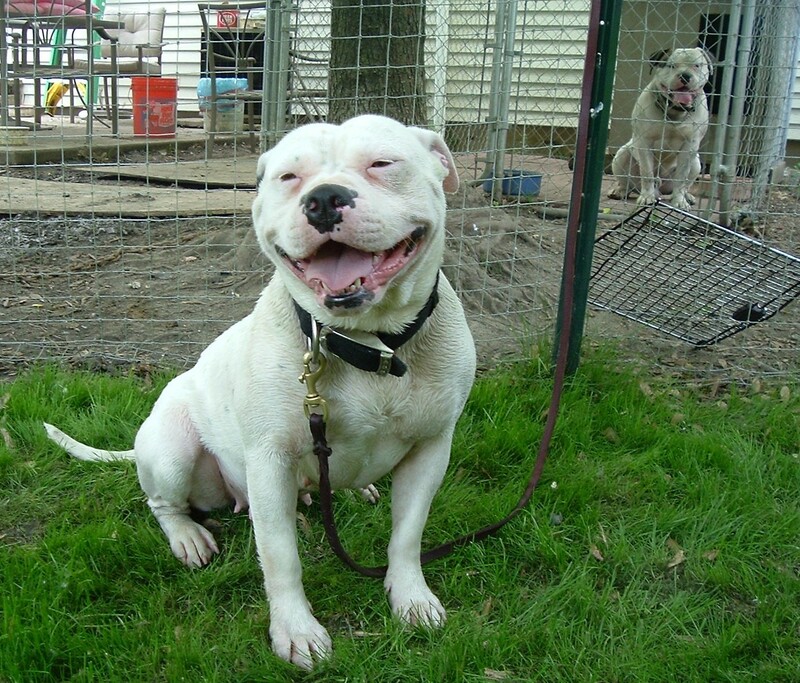 No special training is required to develop these traits in American Bull dogs. 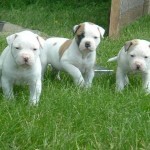 American Bulldogs are very well built and one can see rippling muscles beneath the skin. They stand erect, stretching their head and give a stern warning glare at stranger. 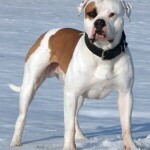 The color of American Bulldog is predominantly while in color but now many different colors adorn their skin. 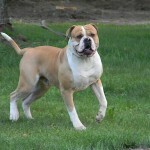 Bull dogs come with black, red, brown, fawn and Bridle texture. Strangely, the ears of Bulldogs do also come in variety of shapes. The different shapes are cropped ears, raised ears, half pricked and forward flip ears. The tail of the Bulldog is set low on their body. The height and weight of American Bulldog vary slightly between male and female. Male Bulldogs stand 22 and 28 inches and weight somewhere between 75 to 125 pounds. Female Bulldogs are shorter by their male counterpart; female Bulldogs are 20 to 25 inches tall and weigh between 60 to 100 pounds. 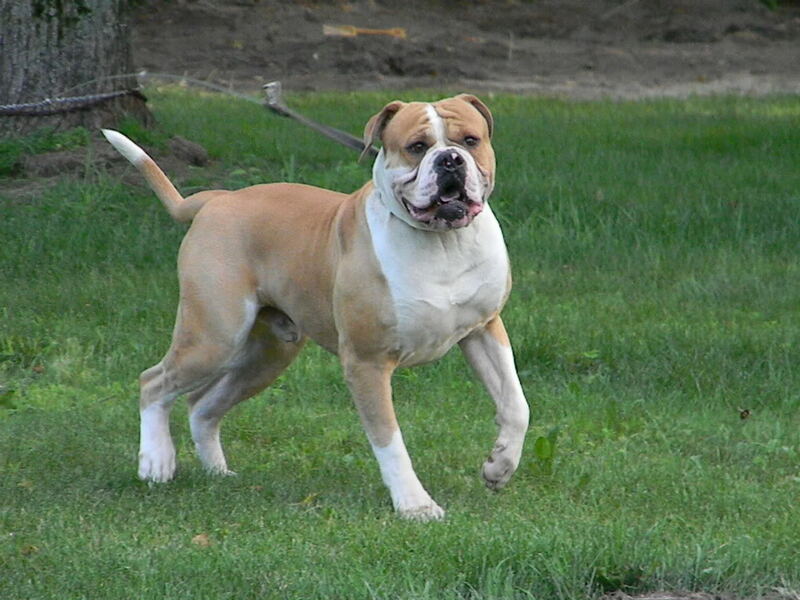 The general of American Bulldogs varies between male and female. Female Bulldogs are less stockier and lightly bones than their male counterparts. 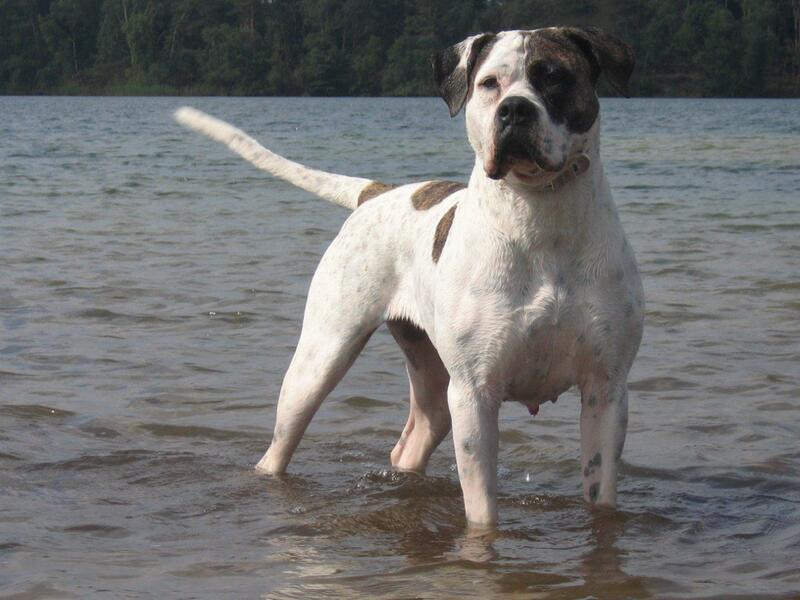 Apartments and condos which are in thickly populated areas are not the ideal places for American Bulldog to live. 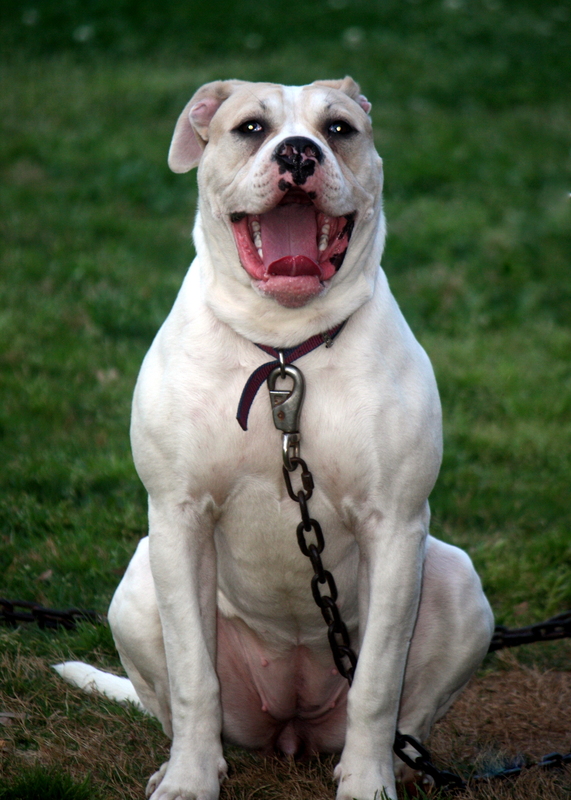 Independent fenced house or a big farmland are the best places for a American Bulldog. The diet consists of heavy protein supplements. Bulldogs are very active hence they consume protein rich food. The diet will be impaired if the Bulldog is kept inactive. 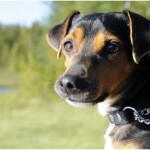 The dog is prone to violent behavior if it is kept inactive. American Bulldogs generally live from 10-16 years. They are usually very strong and physically very active. 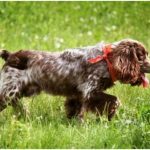 Usually the dogs does not fill and tend to be resistant to general fatigue. One can verify the breed before owning a Bulldog. 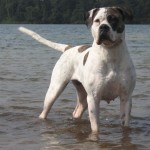 American Bulldog’s family history will have all the relevant details. Some breeds of American Bulldog are prone to allergies; if any allergy symptom is detected proper care should be taken by taking to a vet. 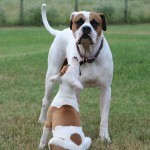 American Bulldog has its roots in bullbaiting which is a violent sport in America. 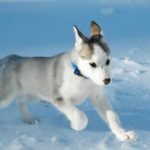 Efforts were made at later stage to develop the dog as farm dog; American Bull dog was also trained to be hunter’s assistant; herding dog for livestock. Bull dog was also trained to hunt right from squirrels to bear. 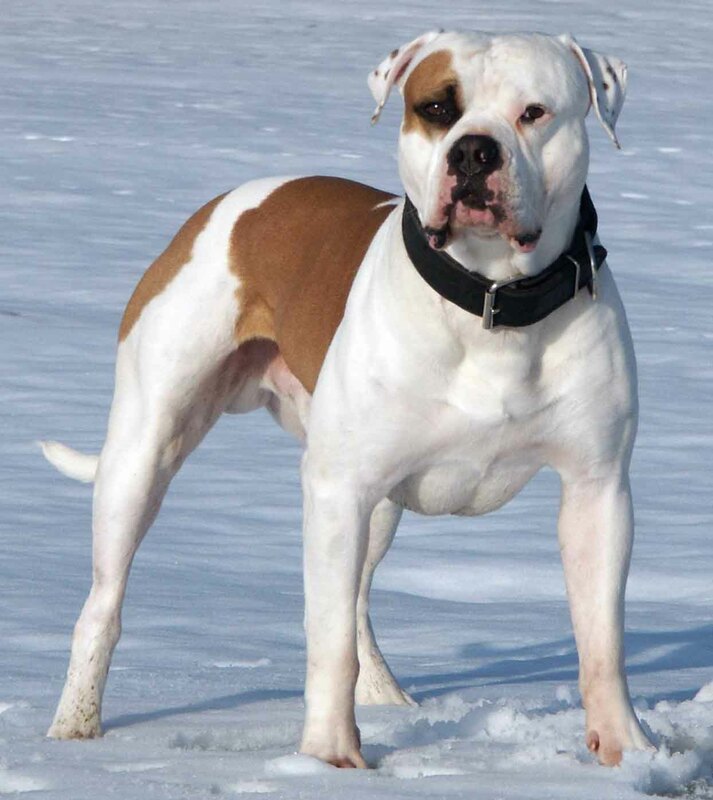 For the past decade or so American Bulldog has come to be a sturdy companion of families of farmers, it keeps a very watchful eye on the properties and people in the farm. 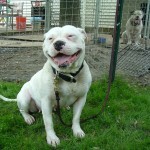 Like a human child, American Bulldog is very playful and active; it also craves for constant attention from its owner. Bulldog will not shy away from heavy work but will be happy, if owner strokes and rubs it whenever it curls at owner’s feet. The dog loves to go outdoors hence one has to make sure there are plenty of outdoor activities for the Bulldog. The important aspect here is to ensure proper activity is provided to American Bulldog. It is recorded that in some cases the dog develops violent streak is it is kept idle. Even though American Bulldogs are people friendly, they are notoriously dog aggressive. 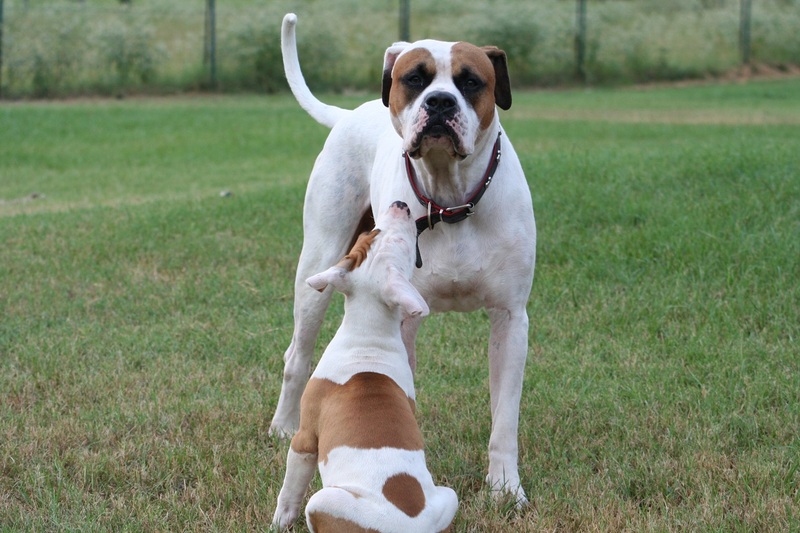 Proper training should be undertaken to puppies so that Bulldogs respect other dogs. Like other canine friends, Bulldog’s chase cats with ferocity. The only way to avoid this trait is raise the pet cat along with Bulldog puppy. Bulldogs are aggressive to show their worth as watch dogs when any stranger approaches. Bull dogs have a imposing look; they strike fear among strangers. It is better to stay away from a American Bulldog unless and until you are aware about its behavior and are a trained dog breeder. 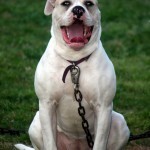 Proper care should be taken to ensure that American Bulldogs are properly chained especially in an open area. Bulldogs generally are aloof but are very friendly towards humans. They have fierce attitude towards other dogs. Do you know, American Bulldogs are so adoptive that if it observes certain activities happening regularly then it follows them sincerely. They will not wait for any special commands for normal activities. American Bulldogs are intelligent and can assess the situation by itself. They perform the task entrusted without getting distracted. They have one sided attention to the task on hand. Even when they are attending to a task, American Bulldogs immediately are available for the call made by the master. Grooming an American Bulldog is very easy and maintenance of the dog is low on budget. Like other fur dogs, Bulldogs should be brushed regularly. Bathing should not be done on regular basis; bathing should be undertaken only when the dog is very dirty. Bulldogs face is abound with wrinkles. Proper care should be taken to wipe and dry the folds of the wrinkles regularly. The wrinkle folds are the source for bacteria to grow which may result in infection. Cleaning of the ears is another regular activity. 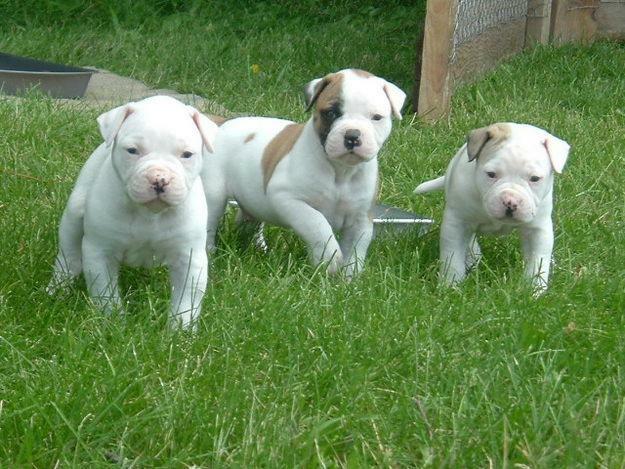 There are many different blood lines of American Bulldogs. They are, The John or classic type, the standard/performance or classic type, the painter/Margentina type, the old southern type and the hybrid type. 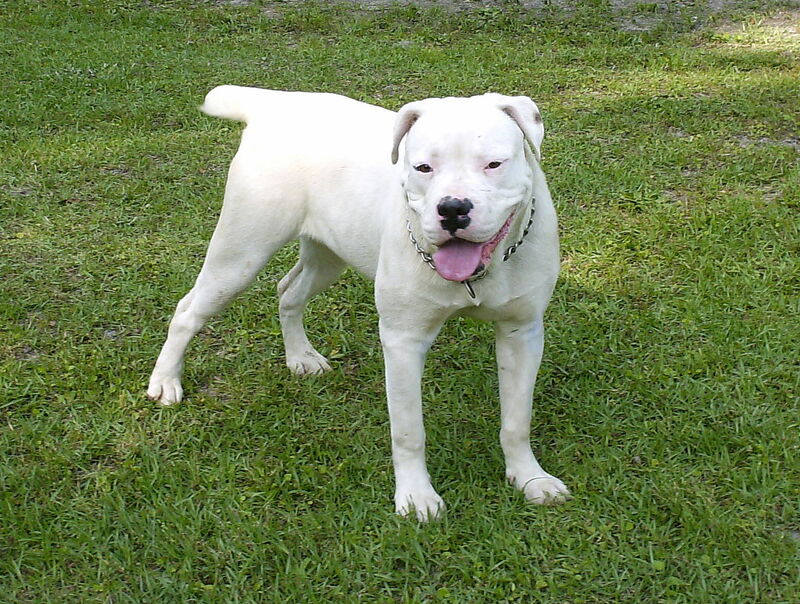 There is also a theory that American Bulldog is created out of concocted mixture of other different breeds. Whatever may be the theory, American Bulldogs are wondrous watch dogs. They are the pride of the society and family.